Mi manda Picone (literally, Picone Sent Me, though the US title was Where's Picone?) is a likable nugget of a film about a low-level hustler's Odyssey through the poor parts of Naples. It has that same surreal, tragicomic touch that characterized films like La dolce vita and Pasqualino Settebellezze, except it's much lighter fare. There are no deep philosophical points being made here, but the narrative is twisty and the characterizations are complex, so you feel like you've had a full meal of filmi goodness. 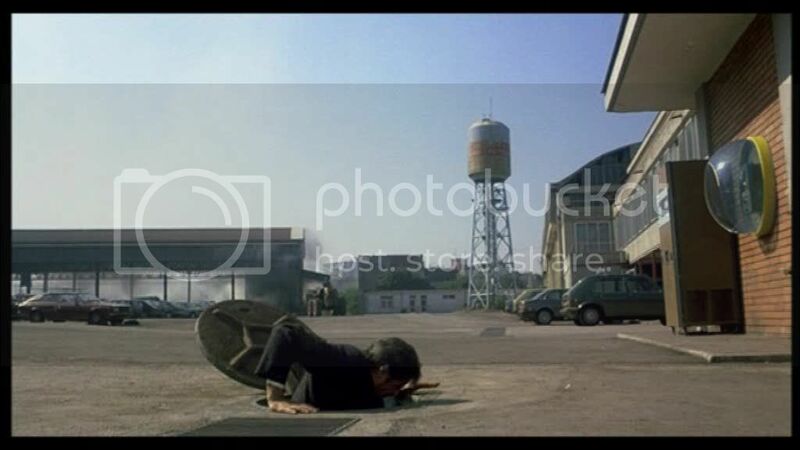 The film opens with the self-immolation of a disgruntled factory worker, the titular Picone (??? - we never see his face!). At a hearing on mafia corruption, in a massive courtroom where his wife, Luciella (the gorgeous Lina Sastri), and three children are watching, Picone demands to know why he was fired from the factory - then drenches himself in gasoline and lights a match, running out of the room. His distraught family chases after him, following him to the hospital where - mysteriously - he has disappeared. As Luciella searches for her husband, she begins to lose hope and believe that he is dead. 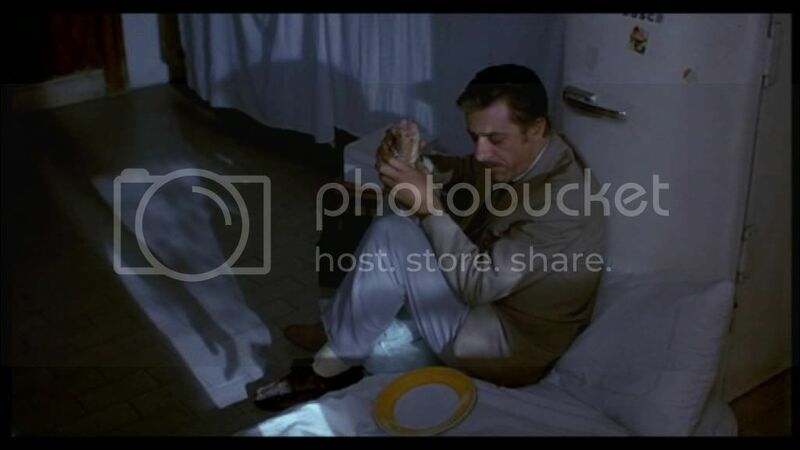 Yet, when the hospital bureaucracy can't help her even locate the body ("All deaths in Naples under forty are gunshot wounds," the morgue attendant says), she hires the services of a bum, Salvatore (Giancarlo Giannini), who claims to know how to work the hairy Neopolitan "system" and find her husband. With Luciella's blessing, Salvatore begins searching throughout the city for hints - and every hint makes the puzzle more complex. It seems Picone wasn't really working at the factory, and instead Salvatore finds himself on the receiving end of a load of money from one factory worker. From then on, Salvatore decides to ride the coattails of Picone's mysterious, nefarious activities, using Picone's old address book to go from person to person, declaring only, "Picone sent me." Since Salvatore (and we the audience) has no idea what Picone was actually doing, these episodes are surprising, incomprehensible and often very funny. Some people give Salvatore money. One guy gives him a slab of beef. Another punches him in the face. Giancarlo Giannini and Lina Sastri. Salvatore struggles to stay ahead of the game - even though he has no idea what the game is. He deceives Luciella too, keeping up the pretense of looking for Picone's corpse. And then, oddly and touchingly, a relationship develops between them. The film ends with yet more revelations and - it seems - an intimation of happy freedoms for Luciella, Salvatore and the kids. The plot summary probably makes the film sound sleazy - hustlers, prostitutes, corpses and mafiosi feature heavily. But the film's main strength is in showing the humanity of this stratum of society: it's not about The Poor or The Underworld, it's about people struggling to get by. Salvatore, for example, is the stereotypical bum: he wears mismatched shoes, carries all his belongings in a plastic bag, sleeps in a squatter's flat and wolfs down the few meals he gets. And - thanks to Giancarlo Giannini's hangdog expressions and fragile, wiry demeanor - we sympathize with him and understand his decisions. When Luciella falls for him, it's not because he's helping her (as we know he's clearly not really, and Luciella's far too cynical not to second-guess his motives), it's because he's so endearingly quirky and vulnerable. Hustling or not, he's a good guy (and great with the kids, too! bonus!). Salvatore's just trying to get by! Naples, along with Sicily, tends to be defined by mafia and corruption, especially in the eyes of the international community. Indeed, the film has an overarching narrative about the Camorra - note, for example, where Picone sets himself on fire - yet this isn't the high-level mafia activities that most viewers are familiar with, where the crime is epic and international. In this film, we see the stereotypical "mafia mentality" at its lowest level. That is, within Italy, even everyday Neopolitans have a bit of a reputation for being hustlers. And this film - like Pasqualino Settebellezze - capitalizes on that stereotype for a picaresque odyssey; the main difference being that this film sympathizes whereas Pasqualino demonized. Subterfuge is a matter of course, with characters regularly misrepresenting themselves and schmoozing. Rather than lending the narrative a noir vibe, this nocturnal delirium of lies and deception turns much more circus-like. Perhaps if this film had been made in America, it would have become Raymond Chandler-esque. In Italy - in Naples - it becomes a bizarre game full of twists and turns and black humor in unexpected places. The modern-day Dante emerging from his latest dip in the Inferno. We watched this because we at the PPCC are inordinately fond of Giancarlo Giannini (hence the blog banner of the moment), and indeed, this film is a great show of Giannini's abilities - his exasperation and anxiety are pitch-perfect. Lina Sastri is wonderful as well, and the odd moments of sweetness between Giannini and Sastri in their quiet home are juxtaposed cleverly against the chaos outside. Indeed, this film's touch is delicate and quick, with humor, pathos and the absurd mixed in just the right portions. Amrita - It's a bit of a war between Giancarlo and Marcello in my heart. I can haz them BOTH?! They were two parts of a polygamous relationship in The Pizza Triangle... which I'm DYING to see!